The very idea that you can overcome fear just doesn't feel natural. 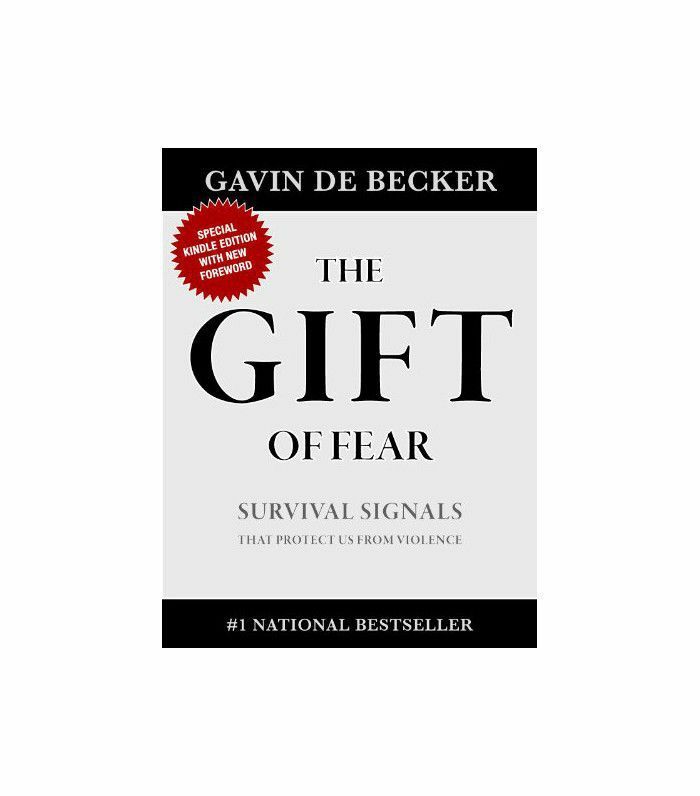 If we think about human evolution, fear is an essential defense mechanism—an internal warning system of sorts—to ward off predators and alert you to something that feels wrong or might hurt you. 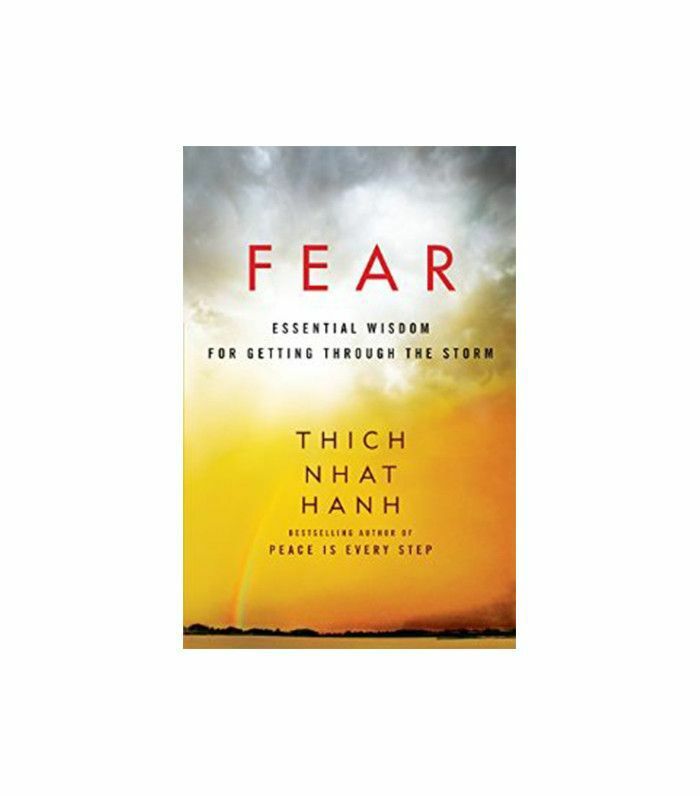 In fact, a Psychology Today report suggests we all need a little fear and that it's a fundamental part of making good decisions. "Many of us let fear get in the way of long-term goals, and that's not good, but it's a mistake to think the solution is to overcome fear in general," wrote Kelly McGonigal, PhD. "You can't (at least, not without a temporal lobectomy). And even if you could, you wouldn't like the results. We need our instincts to let us know when something is just wrong—an immediate emotional evaluation that is even more powerful than complex reasoning and logic." But, of course, it's when that self-doubt and fear turns into irrational angst and dread that it can become physically crippling and in turn hold us back from becoming our best selves. Pushing beyond your comfort zone is uncomfortable but necessary if you want to grow both personally and professionally. 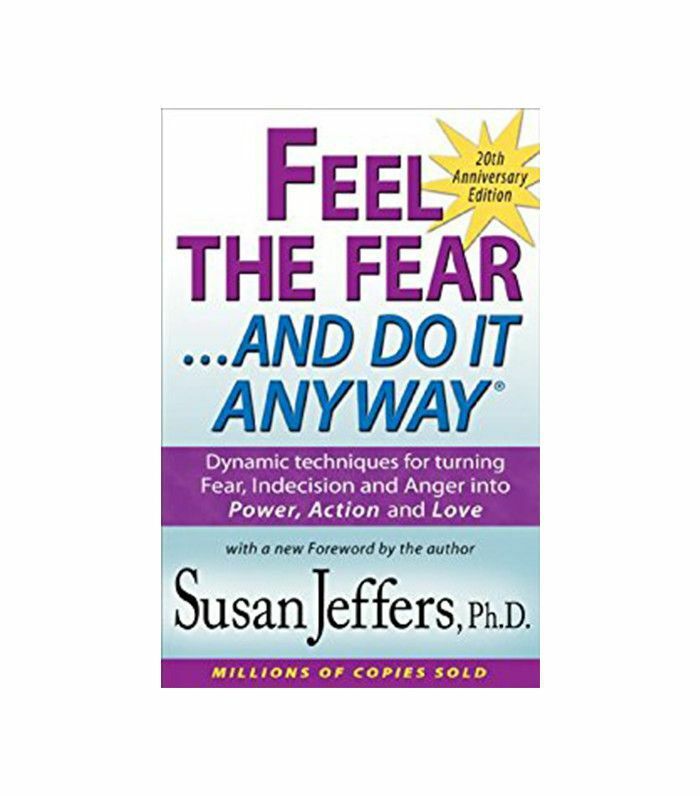 It is possible to turn your fear into success, and in light of recent political events, it feels more important now than ever. So to find out how, we asked 13 extraordinary women on International Women's Day one question: When you're in a moment of doubt or fear, how do you move past those challenges in your life? Their answers prove that all of us, no matter where we sit on the success scale, are impacted by fear (and shyness)—it's how we deal with it that counts. So before you let self-doubt cloud your mind (and go down that negative-speak spiral), read these sage sound bites first, and take back your power. "When I am dealing with doubt or fear, I turn to the people closest to me and ask for help," she told MyDomaine. "Every time I am finishing up the final draft of a book I am working on, I begin to question everything. Is the quality of the writing where I want it to be? Did I cover everything I meant to? Do I need to burn the whole thing and start over? When I get to this point, I send the manuscript to friends and family and say, 'Don't hold back.' I'd rather hear criticism from those I love when there is still time to make changes than from reviews when it's too late to do anything about it. "I also ask for support and understanding during these times. I don't mind hard work, but it's during these times that your social calendar becomes a lower priority. And that is why having supportive friends and family is so important. They will understand that you can't be at every social event when you are trying to make a deadline, and they will be there to celebrate with you when you do." Athena Calderone is the epitome of elegance. The interior designer, homemaker, chef, and mom has effortless entertaining (inside and out) down to an art. We are constantly inspired by her flawless yet approachable style. But despite the glossy images proposing a perfect world, Calderone is very familiar with the gloomy clouds of self-doubt. "The hardest and most important lesson has been to trust myself and to keep putting one foot in front of the other, come what may," she said. "I have built a career out of being a bit of a chameleon, molding myself to a great many visual endeavors, but until I began to celebrate all sides of myself without apology, I let my fear debilitate my creativity. Don't get me wrong, the fear still creeps in sometimes—I just don't allow it to cripple me anymore." Ever since she was discovered as a teenager in the small town of Gunnedah, New South Wales, Australia, Miranda Kerr has been in the public spotlight. With her angelic features, the statuesque stunner has quickly risen to fame, walking the Victoria's Secret and high-fashion runways, fronting numerous coveted magazine covers, and continually ranking on the Forbes list of highest-earning models. But in 2009, Kerr stepped off the catwalk and out of her comfort zone to launch her own skincare company, Kora Organics, to global success. She felt the fear and did it anyway. "For me, it starts with a clear mind," she told MyDomaine. "When my mind is clear, I find I can work through challenges more calmly, prioritize, and make decisions more decisively. It's important for us to invest in ourselves, and the biggest investment is time—time to ensure our mental and physical well-being is being nurtured because, at the end of the day, our health is our wealth. "I used to find it very hard to say no, but I realize now that it does no one any favors if I am overcommitting myself. By being honest in what I can wholeheartedly commit to means I can be 100% present in what I'm doing at the time and not thinking I have to be here or there. I'm then able to give my family the best, my business Kora Organics the best, and my clients the best." Anine Bing has made it her life's work to "make women feel beautiful and put together without losing their personality," and this philosophy holds true in her personal life too. The mother of two runs a wildly successful business (her celebrity fan base includes Rosie Huntington-Whiteley, Jessica Alba, and Kate Bosworth) that takes her all over the world, which to many could seem incredibly daunting, but Bing takes it all in stride. "To me, fear can only go as deep as you allow it," she told MyDomaine. "Curiosity helps me overcome fear. I once read that you gain strength, courage, and confidence by every experience in which you really stop to look at fear. I believe that to be true. To find success in whatever you choose, you must do the thing that scares you most. "In my career, I'm all about taking risks. I stay inspired; I stay focused. Having a healthy relationship with doubt can push you to exceed your limitations. But don't forget to take the steering wheel. You must not let doubt drive your dreams." Taking that jump from familiar territory into the unknown can be so intimidating that many of us don't leap. Lara Worthington, née Bingle, leapt when she broke away from being a model and ambassador to launch her own beauty company, The Base. "Making mistakes and getting it wrong are all part of what makes us human," she said. "If I need time out, I take it. We shouldn't be afraid of stepping away to take a breath. I like being an observer—of myself, my surroundings, the people close to me, and, of course, the bigger world. Besides running my company, being a wife and a mother is my priority. Our health and happiness is paramount and puts everything else into perspective." While running your own business is incredibly "liberating and exciting," according to Louise Roe (founder of Front Roe), it's also "terrifying." She told MyDomaine: "Each decision lies with me, and that means I'm entirely responsible for my mistakes. There's nobody else to blame. Plus, living in L.A. can be pretty intimidating: Everybody looks fit and gorgeous; everybody is aggressively ambitious, and as ridiculous as that sounds, it certainly affects your confidence levels." As a TV host and fashion correspondent for NBC's Access Hollywood, reporting live from the red carpet at Hollywood's biggest award shows, this sentiment often creeps up, but she has her own trick to move past it. "So when I doubt myself (which is often) I talk to my husband, Mackenzie," she said. "We were friends and colleagues for five years before becoming a couple, so he knows me and my insecurities so well. Sometimes he listens intently and helps me figure out a resolution. Sometimes he makes a joke and tells me to stop being silly. Sometimes he takes me to happy hour and orders us a spicy marg. I think the key is perspective: a reminder to look outside my bubble and realize it's not so serious. Also to take the odd moment to look back (not always forward) and be proud of what I've achieved." When Hillary Kerr left her familiar role at Elle to launch into the then-unknown world of online publishing in 2006, she summoned a lot of grit, confidence, and a fearless attitude, but it paid off in dividends. Kerr, along with co-founder Katherine Power, officially disrupted the DNA of print fashion magazines with Who What Wear under their parent company, Clique Media Group, and went on to launch two successful sister brands, Byrdie and MyDomaine, in 2013. More recently, they launched Obsessee, a social-only site aimed at the Gen Z audience and have co-authored three books: Who What Wear: Celebrity and Runway Style for Real Life, What to Wear, Where, and The Career Code. After all of this success, you wouldn't expect fear to raise its ugly head anymore, but it's an emotion we all come up against, no matter where you are in life. "Whenever I'm having a fearful moment, I try to take a moment and examine what's really scaring me," she confided. "Am I afraid of being vulnerable? Am I afraid of failing? And from there, I try to take it a step further: Why am I afraid of being vulnerable or failing? Is it because of my ego? Is it because I was hurt in a similar situation once upon a time ago? And then I ask myself: What's the worst that can happen? "If it's something related to my ego—like not wanting to be rejected—or I'm concerned about how something might be perceived by the outside world, just examining that fear is often enough to make it go away. Once I've looked the irrational fear—and let's be honest, it normally is—in the face, more often than not, it will recede and suddenly not seem so scary." When you witness Ashley Longshore's work and then see her impressive clientele list (Blake Lively, Whitney Wolfe, Salma Hayek, and Penelope Cruz are all collectors), you'd be forgiven for thinking that Ashley has her life made. But despite an impressive résumé and a portfolio of appearances in all the top glossies from Vogue to Vanity Fair, Ashley's nontraditional approach took confidence and a fair amount of guts to pull off. "I feel that action is the best way to get past doubt and fear," she said. "I can keep wading through those emotions of fear or use my resources to create something tangible with my time that I can put out into the universe. I can create a new positive energy this way that builds more vigor and action than the deadweight of doubt of fear." If you told Claire Sulmers five years ago that she'd be the editor in chief and founder of one of the top 50 most influential style blogs in the world, she wouldn't believe you. With millions of followers on Instagram, a ton of traffic, and loads of likes on Facebook, the Harvard graduate has forged her own stylish path in a notoriously cutthroat industry with FashionBombDaily.com. But ask Sulmers now, and she'd tell you all the risk-taking, hard work, struggle, and sacrifice was totally worth it, and there was one thing that got her through the self-doubt and fear along the way. "Unwavering faith always gets me through moments of doubt or fear," she confessed. "Faith in myself and faith in the infinite. When I moved to Paris with the goal of breaking into fashion, I had no job and few contacts. I was definitely fearful. I doubted my ability to stay afloat and pay my bills. I feared that I would be homeless, shiftless, and poverty stricken. Going for and achieving a big goal (that seems way beyond my reach) gave me confidence in myself and confidence in my ability to make it happen. So now, even though I experience setbacks, I always have a vision, always work hard, pray hard, and adopt the attitude of 'I will not lose.' I am here to win." If Cher Coulter didn't wrangle her fears early on in her career, she wouldn't be styling some of the biggest names in Hollywood right now. After moving to Los Angeles in 2003 from London, she quickly garnered a celebrity client list filled with the top talent in the business—think Kate Bosworth, Elizabeth Olsen, Sienna Miller, Nicole Richie, Kirsten Dunst, and Rosie Huntington-Whiteley, to name a few. "Fear is the only thing that holds us back from our goals," she said. "To overcome it, I have to remind myself that the worst outcome is often never going to be as bad as my fear, and I have to remind myself that nothing is ever as bad as I play it in my head. Every cloud has a silver lining. So a little chat with myself or a good friend before dealing with something fearful and taking the wind out of it by playing out all outcomes helps deflate the scary part." There isn't much Molly Sims can't put her name to. The famed model, actress, blogger, mom, and author is also an active humanitarian and even had aspirations of becoming a lawyer during her college years. In her most famous role as a model, Sims has graced the covers of Mademoiselle, Vogue Paris, Vogue España, Tear Sheet, French Cosmopolitan, British Marie Claire, and the coveted Sports Illustrated Swimsuit Issue, and was also featured in major advertising campaigns from CoverGirl to Jimmy Choo. Being in the spotlight might seem glamorous to those of us on the sidelines, but the reality is very different. "Being in the modeling industry, there were many challenges, both mentally and physically," she told MyDomaine. "When you walk into a casting, there's always that urge to compare. Instead, I decided to fight that insecurity and take another path. I prepared, I studied, and I did what I needed to give myself a leg up. That meant believing in myself even when it seemed impossible. Hard work and preparation does pay off." But even after all these years, Sims still experiences moments of doubt. "There are still times when I'm scared shitless, but you know what helps? Confidence—even if you have to fake it a bit," she said. "Walk in like you already got the job or gave a great pitch. It's an extension of believing in yourself and it shows." In an industry filled with rejection, actor Camilla Luddington (known for her role as Jo Wilson in the ABC medical drama Grey's Anatomy) has had her fair share of self-doubt. "When I was younger, I would walk into auditions deciding I wasn't right for the job," she said. "That I wouldn't be what they were looking for and someone else was more deserving. I was stamping these labels on myself and wearing them into the casting room. I think there's a lot of power in words and the energy they bring. I tried to turn it around by writing positive phrases or words on the top of my scripts. I would write 'warrior' or 'fearless.' Sometimes I still didn't feel that way, but I did feel that by physically writing them down, and by staring at them, I was giving myself new 'labels' to live by." Sometimes Luddington would even write them on her body. "If I wore a long shirt, I would write something on my arm that encouraged me," she admits. "Over time, I really did start to feel that way. I could walk into rooms confident and sure of who I was and what I brought to the table. It didn't mean that I always got that role or I succeeded 100% of the time. It just meant that I could walk in and walk out of my auditions and not feel defined by the five minutes in the room. I had already taken the power away from everyone else and defined my own self-worth. Working as a stylist in New York, Vanessa Packer dreamed of opening her own business one day. Working in fashion by day, Packer studied by night at the Institute for Integrative Nutrition before being certified as a holistic nutritionist. This year, she finally realized her dream and took the leap of faith to start her own boutique fitness studio, ModelFit, with rave reviews. But it wasn't without personal challenges. "In moments of doubt and fear, I try to focus on what is truly important in life—love, family, and health—and that often gives me perspective along with a bit of clarity on how severe the issue is and how best to deal with it," she said. "In difficult times, it's often easy to retreat and internalize the issue, but leaning on your loved ones, speaking to people you trust, and tapping into your community can be helpful, grounding, and calming forces to guide you toward a solution." How do you combat fear in the face of self-doubt? Here's one phrase that will stop it in its tracks.